Quartal Group delivers high-quality software solutions and related services for the needs of the Asset Management Industry and Corporate Governance activities. We are located in Frankfurt, Espoo (Finland), Paris and in Zürich. Quartal Oy is a privately owned independent company. 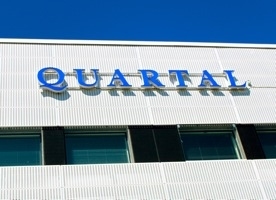 The founders of Quartal together with other personnel own Quartal Oy’s shares. Quartal Oy’s operative business activities are run through its subsidiary companies Quartal Financial Solutions and Quartal Corporate Governance Solutions. Furthermore, Quartal Oy is one of the major shareholders in Trainers' House Plc, a European Growth System Company listed in the OMX (Scandinavian Stock Exchange) as well as in Investis Ltd, the leading European online corporate communications and investor relations service provider. Please find additional information about our subsidiaries and holdings.